After days of cleaning, sorting, purging, and organizing my closet is complete. While in blog-world the process took just a few typewritten steps, it actually took a lot of work to get everything just right. 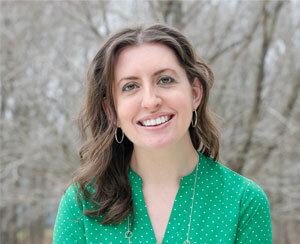 Don’t get down on yourself when your organizing project doesn’t happen in one afternoon. The clutter took longer than one day to form. 2. The baskets are holding my seasonal clothes. That way I can still get to everything in case of chilly day (or warm day during the winter). The small basket holds my belts and scarves. 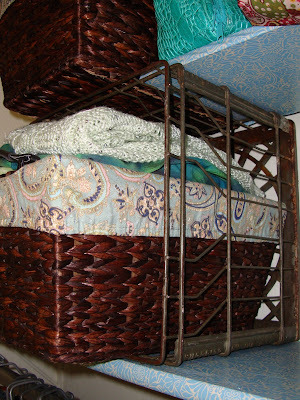 I picked these lined baskets up a few years ago at Jo Ann Fabrics. 3. 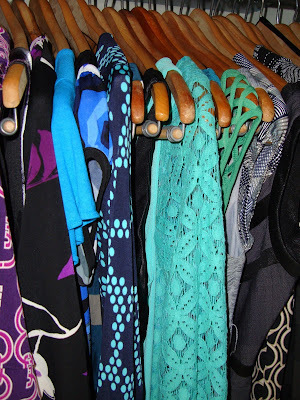 My clothes are hanging by type (shirts, pants, dresses, etc) then organized by color (white to black). I bought the matching wooden hangers on Ebay about 5 years ago. 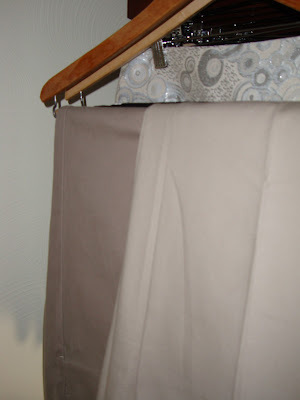 **I saved a little space by putting two pair of pants that are the same general color (Khaki, gray, black) on the same hanger. You can also buy great hangers that hold multiple pair of pants. 5. 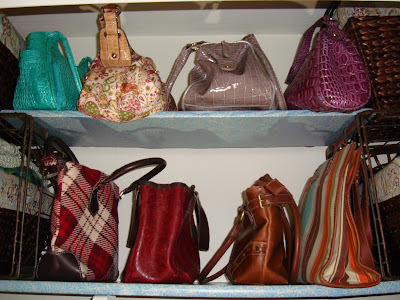 I wanted to make my purses easy to get to and originally planned on hanging them, but decided that probably would not be good for the handles. Instead, I used a piece of thick foam board left over from another project, wrapped it in the same shelf paper I used on the wooden shelf, and rested it on the two milk crates. Now I have double the shelf space to set out my purses. I stuffed the purses with some kraft paper to help them to keep their shape. 6. 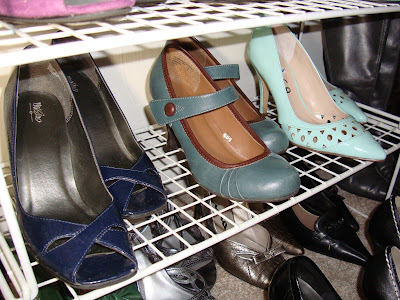 My shoes are placed (in color order, of course) on plastic coated metal shelving that I have used for years in my closet. 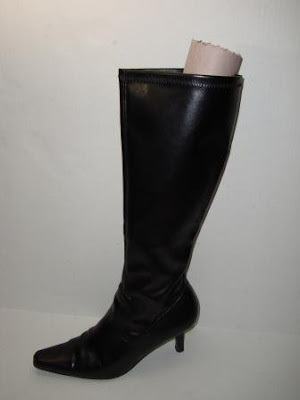 The open shelves allow for good air circulation around the shoes. 7. 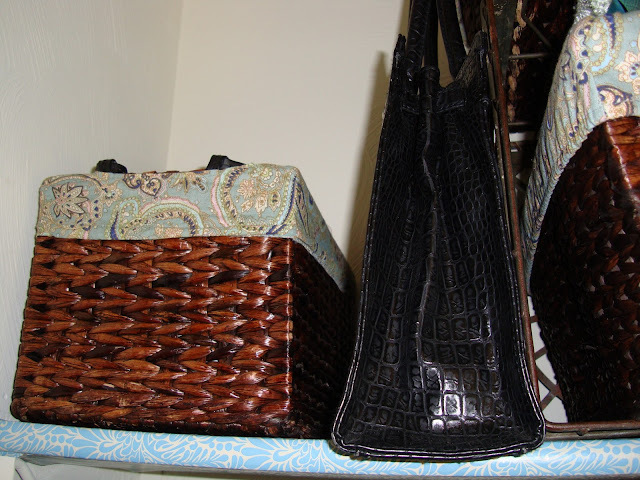 I have a few tote bags that would not fit on the shelves with the purses, so I added hooks behind my hanging clothes. Now the bags are out of the way, but still easy to access. I’m so happy with the fact that I finally have my closet back and that I can easily find the clothes I’m looking for to make some fantastic outfits. I have a pile of stuff to be sold at an upcoming yard sale (or donated to Goodwill) and another pile of stuff that can be put somewhere else in the house. I also set aside a box of clothes that I wasn’t sure about. I’ll put it somewhere else in the house and will look through it again in the fall when I reorganize. I told you that my plan was to spend little or nothing on this organizing project. The grand total for a massive change was...........$5.99. The only thing that I bought was the shelf paper! For everything else, I used what was already in my closet or what I had elsewhere in the house. Isn't it amazing what you can do for very little money!?!?! Hope your closet organizing project is going well. 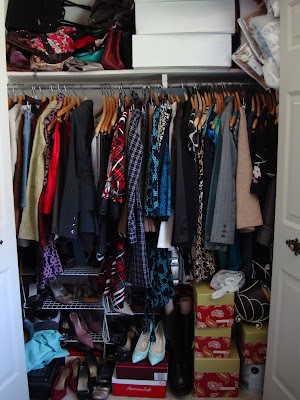 Tomorrow, I’ll share some closet organizing tips and pictures of inspiring closets that I have gathered!